This past week I was in Washington, D.C. to work with a colleague at the United Methodist General Commission on Religion and Race as we were writing legislation in preparation for the 2016 General Conference. We were incorporating GCORR’s ministry model into its legislative mandates: Intercultural Competency, Institutional Equity, and Vital Conversations about Faith & Race. Too many things in the news demand that we excel at all three. We finished our work a little early one afternoon so I decided to walk down behind the Capitol and check out some museums. 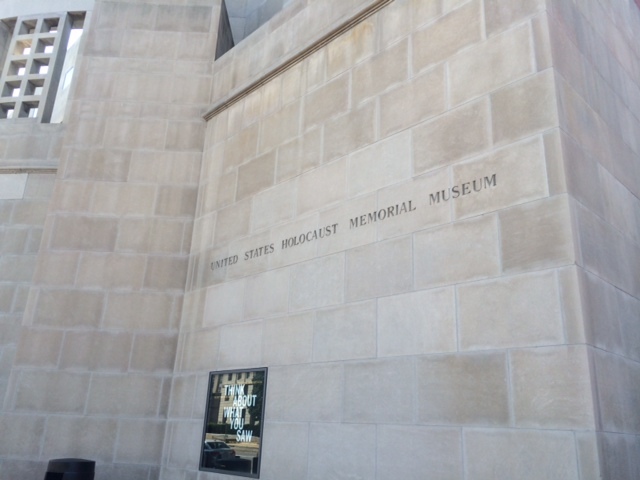 I especially wanted to go to the National Holocaust Museum. I was breath-taken by the solemnity and horror of what I felt and experienced. Walking through the railcar that transported people to death camps was worse than chilling. Seeing the thousands upon thousands of shoes taken from people about to be murdered was overwhelming. Not a soul in the place spoke louder than a whisper, if that. Holocaust survivors were present with tattooed arms. The visit really put my work with the Commission on Religion and Race into perspective. We must say “Never Again!” to all genocide, racism, and murderous atrocities. The Islamic State must be stopped from beheading people. Russia must retreat from Ukraine’s sovereign borders. Christians in Iraq, Nigeria, and China must be protected from persecution. We must all do our part, wherever we are, to stop heinous acts that take the lives of the unborn, the elderly, the Roma, and not to forget those innocent Hispanic children at our borders or those African-Americans who have been profiled and targeted. Indeed, Ferguson, Missouri is a tragic reminder of the U.S.’ racial history and a microcosm of the genocidal acts that have been perpetuated across the planet. Turks tried to wipe out Armenians in the early 20th century; Nazis tried to kill all the Jews; and the evidence of hatred goes all the way back to Cain killing Abel. We can say “that” would never happen in our community, but sadly it does every time I look over my shoulder and profile the people around me as I get in my car. When does careful vigilance cross the line into profiling? We don’t want to call it discrimination or racism but we really do cling to what our differences are as human beings. Being unique is cause for celebration most of the time – until you’re the only one who thinks differently or doesn’t look like the majority. What a challenge for the church! We believe and preach Colossians 3:11 and Galatians 3:26-28 that in summary say that, in Christ: skin color, gender, and social status don’t matter – what matters is Jesus! Unfortunately, however, churches are mostly homogeneous like-minded clubs of similar people. Even with the rich diversity of the United Methodist Church, one of the most diverse denominations in the world, we are 92% white in the U.S. and 60% white worldwide. How do we create community when we would rather separate into different ethnicities? It begs the question of whether it is in our DNA to be prejudiced and want to be with own kind. In D.C. I also went into the Smithsonian Museum of the American Indian. Talk about mistreated. I was hoping to find a T-Shirt that said, “Fighting Terrorism Since 1492,” but I didn’t. It was a somber place to me. If the majority of this country doesn’t “get it” about the Washington NFL team that has a nickname that American Indians NEVER call themselves, then we’re in serious trouble. I am even more offended by the Cleveland Indians mascot “Chief Wahoo” whose cartoon-like features are blatantly insulting. I have other questions in the wake of Ferguson, Missouri. I wonder why most persons of color assume the police have an agenda of targeting them, and why most persons who are white trust the cops. I’m torn, too. I want to believe that the authorities are just doing their job, aren’t racial profilers, and want to keep the peace. Unfortunately, our experiences differ when it comes to the color of our skins, the neighborhoods we’re from, and the accent of our voices. People assume Southerners are ignorant because we speak a drawling version of Elizabethan English. Others assume Yankees are rude and impatient with their fast clipped dialects. Why do we assume that Asian kids are better at math, black kids are better at sports like basketball and football, and white kids are football linemen, the occasional tight end, fullback, or quarterback and little else? Why in the world do we somehow think that Latino/Hispanic persons have a corner on the landscaping market? Are these facts, or are we racists of sorts? We have turned the American melting pot into a salad bowl where we do our best to keep the tomatoes, cucumbers, onions, and lettuce separated. With that kind of attitude we don’t need to wonder why Ferguson, Missouri happened, Wounded Knee, or the Holocaust. Look at the facts and know that out of nearly 3 million people incarcerated in the U.S. 38% are African-American and that 1 in 3 African-American males will be imprisoned at some point in their lives. What makes these stats even more disturbing is that African-Americans only make up 13% of the U.S. population. Why is there such a high rate of incarceration? Is it due to a lack of opportunity? Are African-Americans somehow ill-equipped by nature or nurture to break the cycle of poverty? Is it because of the lack of a male presence in families? Is it institutional racism? Well, I wonder sometimes. Our cigarette tax is one of the lowest in the country. Our legislature is often out-of-touch when it comes to medicaid and benefits to the poorest of the poor. Our unemployment rate is worse than anyone else’s, but our tuition at our colleges is highest in the Southeast. Plus, don’t get me started about our governor, lieutenant governor, or a Confederate flag flying in our faces in front of the Statehouse. That flag alone is enough to make me sick. It is so hurtful to so many people. Our history is replete with innocent blood on that flag. That may be my history, but it’s not my heritage. History is something you learn from, and heritage is something you pass on to your children. But we haven’t learned, have we? How many of us would be offended if the German B.M.W. plant in Greer flew a Swatiska over its buildings? We all would! 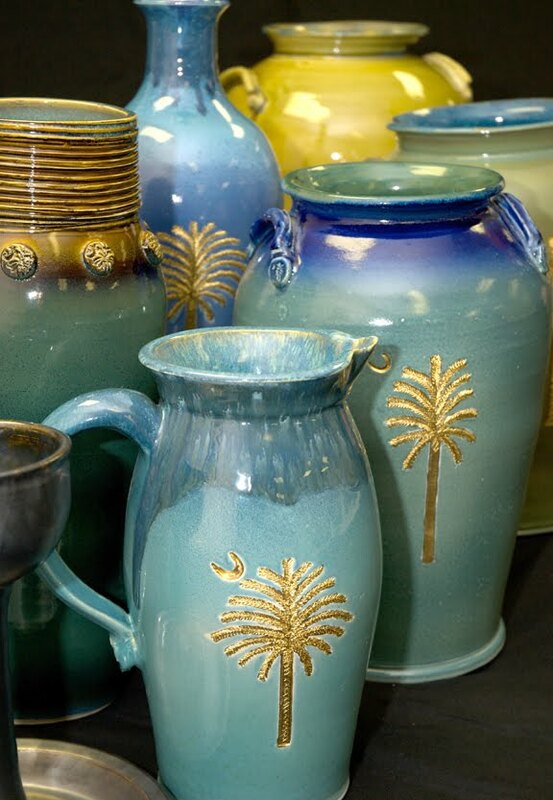 We need to put the shine and lustre back on the Palmetto and Crescent. That’s a symbol worth standing up for. It’s up to me and you to do it. I have spent a few days before calling legislators. I need to do it more than that. Apathy gets us nowhere. It may be summer recess for our legislators so we might think it’s no time to call them up. Actually, summer recess is the best time. They work for us! Pick up the phone!